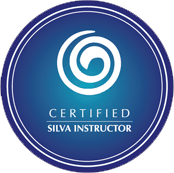 This training offers the most effective and powerful way for you to experience both the Silva Life System and Silva Intuition Training over four consecutive days. It will teach you simple yet powerful techniques to create and transform every aspect of your life to create better health, personal success, happiness, accelerated learning, improved memory, focus and concentration and develop your intuition leading to physical, mental, emotional and spiritual well-being. The most important outcome of doing this course is that you will finally come to acceptthat there is a Power within each of us ready to assist us in on our earthly journey. We now offer the most effective and powerful way for you to experience BOTH Silva Life System (day 1 & 2) & Intuition System (day 3 & 4) over four consecutive days – The Life and Intuition Immersion. It is by far the ideal format for you to accelerate your integration and development of the Silva Mind Technology. The 4-Day Immersion Experience with Irene is specifically designed to create deep, lasting and extremely desirable inner transformation. Give Me 4 Days and I’ll Show You How To Transform Your Life To Create An Extraordinary Life! Imagine giving yourself a gift by slowing down for four days, putting the demands of your everyday life on hold, immersing yourself in a very relaxed, friendly, supportive environment with a small group of uplifting, motivated people – and focusing on nothing but YOU. Imagine creating a road map that will guide you, inevitably, step-by-step forward into creating the life of your design. And finally, imagine experiencing the tangible result of those four days – a level of confidence, certainty and the development of the proven step by step tools that you bring home with you to create your success, happiness and fulfillment to enhance the quality of your life PERMANENTLY. And it begins with a decision and a commitment to invest in your most important asset…. YOU. So let’s get started. Seating is limited in each location to the first 24 to register so that you get undivided attention; So Act Now, Make the Time, Select the Date from the Schedule and let the Process begin. we have been told that it’s certainly worth more! • Registration in each location is limited to the first 24 to register. Convenient time payments can also be arranged with Irene at 09-6279123. * Privacy disclaimer: We ask for your phone # upon registration in case we need to contact you concerning the seminar. We respect your privacy and your information stays with us.